Every minute of every game. Every Sunday. NFL REDZONE. Every touchdown. Every Sunday. One Channel. NFL Sunday Ticket Deluxe is your all-access pass to NFL Fantasy updates, game highlights and more. When you upgrade you’ll even have access to NFL REDZONE — a channel dedicated to every scoring play from every game, commercial free! View the NFL Regular Season Schedule now! *REVTV HD available at additional cost. Get the first box for $14.99 and the second one for $6.99. Security deposit required. Prices subject to change and not inclusive of VAT. NFL Sunday Ticket available to REVTV subscribers in New Providence, Grand Bahama, Eleuthera and Abaco. NFL Sunday Ticket only available in HD. Get NFL Sunday Ticket now! Enjoy new movies and documentaries, even sports and concerts — customise your TV experience and create a plan that meets your demands and only pay for what you love! 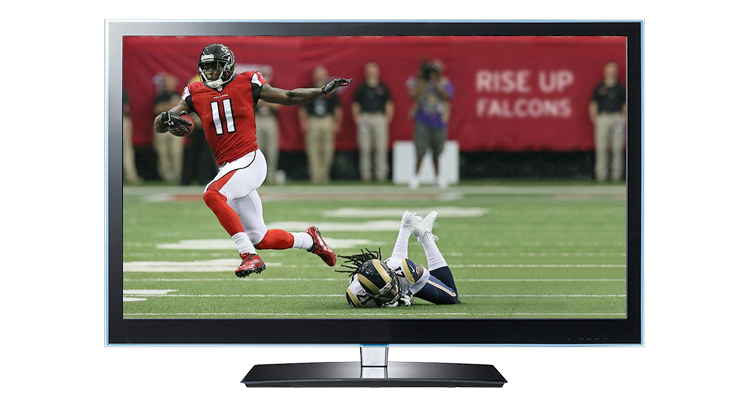 All the sports you crave, all in one place, with many sporting events available in HD! No matter which teams you follow, no one has you covered like REVTV. Choose from a variety of international foreign-language packages that include channels from all over the world. We’ve put together an exclusive blend of specialty channels just for you.